Deep conducted an underwater survey at the breakwaters of Port of Scheveningen. 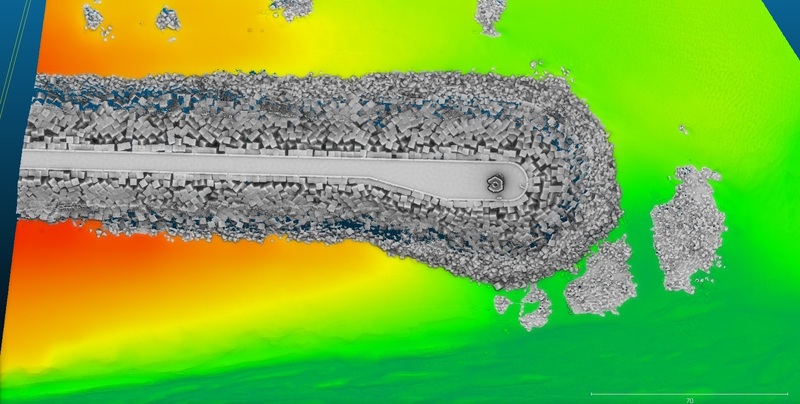 The survey was part of a pilot ‘Breakwater Health Scan’ (BHS) in collaboration with CDR International B.V., Skeye B.V. and Van der Meer Consulting B.V.. A complete aerial scan revealed the current (technical) status of the breakwater above water. 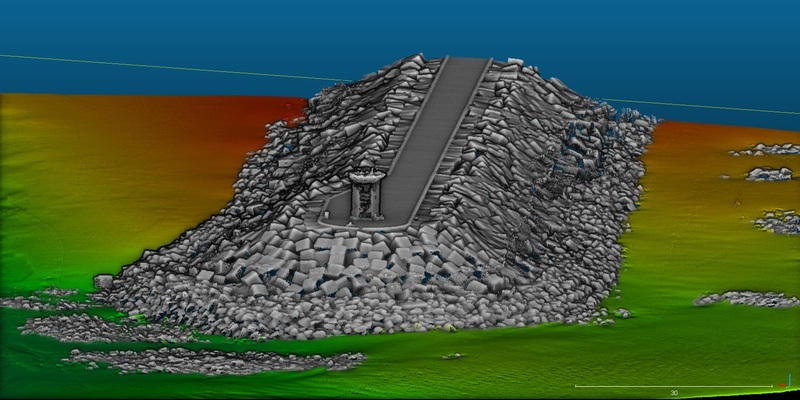 Deep surveyed the underwater section of the breakwater and surrounding seabed using a dual head multibeam echosounder. A 3D model was created from the section above water via drone and stereo photography. 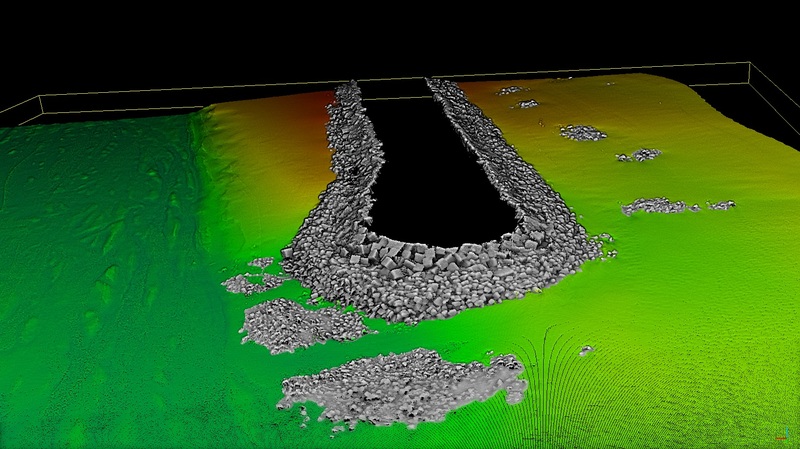 Both the aerial survey and underwater survey were merged into a detailed 3D model. 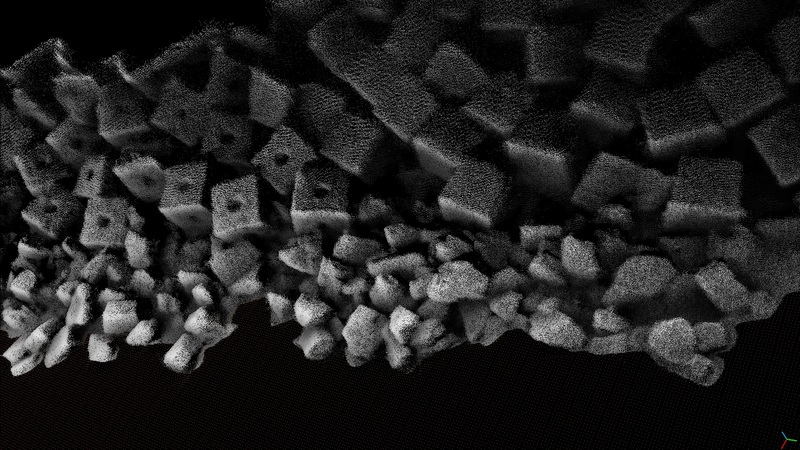 The 3D model gives a clear insight into the current location of the individual breakwater blocks. Experts will then use this model to determine the current technical status (health) of the breakwater. This will take into account the blocks configuration, potentially broken blocks or local erosion etc. Based on the technical status, recommendations will be made to minimize any potential risks.